Oh, no no! If its foam, it can be fixed! The crash only ripped the off the wings and tail. The prop wasn't even broken! The plane has been successfully recovered and will fly again! I just got a CMP L-4 Grasshopper. At $100 for a 72" WS airframe its a STEAL of a deal. Got mine with 10% off on 4th of July sale. I'll be posting a review article rather soon. I really like the clipped wing they have. a Cup aka L-4 is allways a nice choice, im looking forward to your review of the bird...was temted by it too a few times but i think right now i tend more to the HobbyKing Stroch...always wanted to have one, still not really a beginner plane. No its really not. It IS, however, a good beginner plane for something large. My second flight was a cake walk. It was just like I had been flying the smaller stuff but it lumbered much better. Yeah I forget its against the law there! It's a really nice plane great value for money. Have plans to re paint yours when you get it? Noob question. 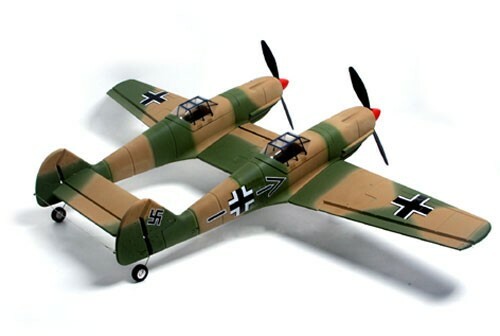 What would be the recommended skill level for the Storch? That is one of my favorite Axis planes and one that I would like to fly eventually. I'd say you should be able to handle it, after being comfortable with a foam high wing, 4 channel plane. The only thing about this plane, is that it's balsa and covering. Repairs to these are MUCH more involved than an equivalent repair to a foam plane. I would say intermediate level. It needs good cross control, and does tip stall if your too slow or sloppy in turns. It looks like a nice trainer like a super cub but it nothing like a cub to fly. Gotcha. I'm certainly not at that level yet. But I'll keep all of that in mind!